BRYAN EATON/Staff Photo. 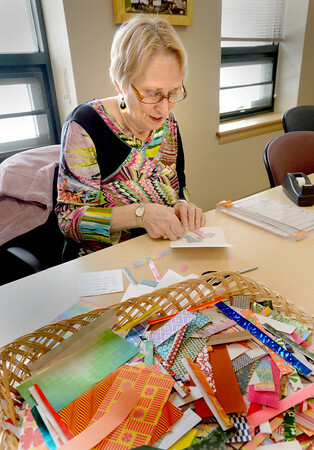 Beverly Carney of Amesbury uses different scraps of colorful paper in Iris Folding class at the Amesbury Senior Center. The class taught by Jeanne Marie involves no folding of paper, but is put together in a concentric pattern taped together from behind, often to be used as greeting cards.